We produce traditional cheeses made with unpasteurised organic milk sourced from our own dairy herd, where we keep the calves with their mothers to suckle. Rainton Farm is the first commercial dairy in the UK to be following the cow with calf method, others are all micro dairies. 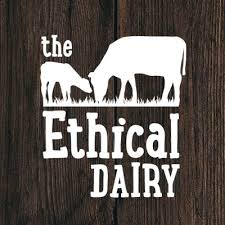 Our ethical dairy model is based around treating the animals, the land, our environment and the people who work here with respect and kindness. Thank you for supporting this radical new approach to dairy farming.